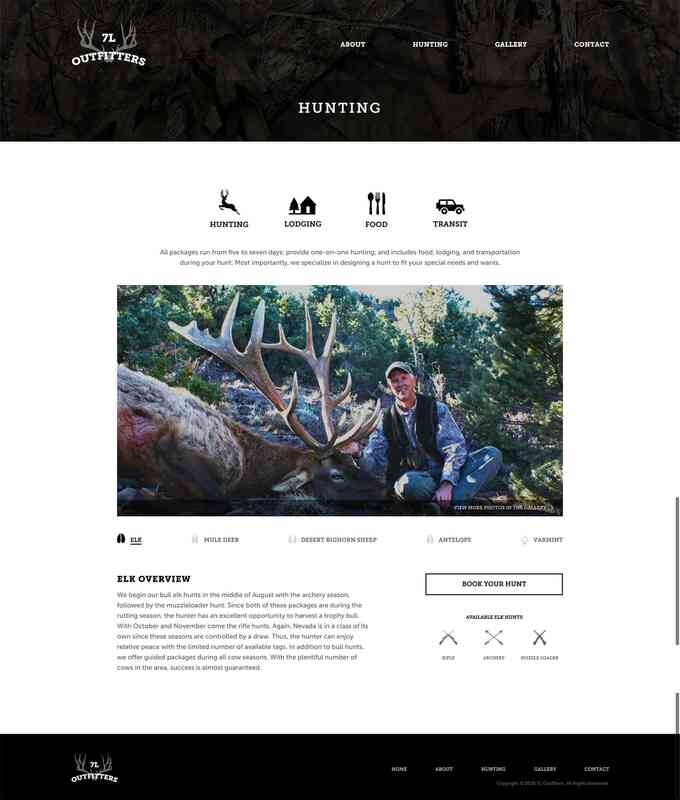 Nevada’s premier hunting guide service, 7L Outfitters contracted us to do a full branding website. They originally contracted us to build their website site in 2009 and did a recent refresh this last year. However, when we did first build their site they chose to continue hosting with Yahoo. Unfortunately, it worked out badly for them. They are a busy outfit, and like many of our busy clientele they didn’t have time to manage their website. Which, in the end, caused a 3 month outage on their site, costed them who knows how much money. When we rebuilt their site we had to take some drastic measures to rebuild their SEO and get their site back to the top of SEO rankings. We now host and manage their website for them.